A: The multifaceted actor can next be seen on the Lifetime Original Movie “Romeo Killer: The Chris Porco Story,” which airs Saturday, March 23 at 8 p.m. ET/PT. It’s inspired by the true story of a handsome young college student who became the prime suspect in the shocking murder of his father and disfigurement of his mother in a savage ax attack. Eric portrays Detective Joe Sullivan, the lead investigator on the case, who goes on a mission to prove Chris’ guilt. In “Perception” news, Scott Wolf, of “Party of Five” and “V” fame, has signed on to be a recurring character as an assistant U.S. attorney. He has a hidden agenda that involves his soon-to-be ex-wife, Kate, played by Rachel Leigh Cook. 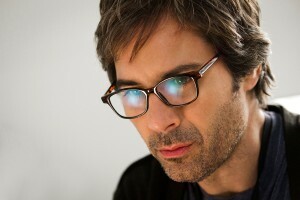 Look for 13 new episodes of “Perception” to begin airing this summer. 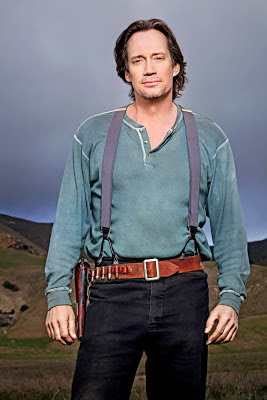 A: Well, if you’re looking for another high-quality period piece to take your mind of the heartbreaking fate of Matthew Crawley, then may I recommend another Masterpiece series? “Mr. Selfridge,” which premieres March 31, stars Jeremy Piven as a wheeling, dealing, womanizing American who teaches early-1900s Londoners how to shop. The eight-part series centers on the real-life story of the flamboyant and visionary founder of the London department store Selfridge’s. Q: What has “Lost” star Josh Holloway been up to? Will he be on another series soon? — Nora S., Savannah, Ga.
A: Josh was cast as the lead in a pilot for CBS called “Intelligence.” The action takes place at U.S. Cyber Command, and focuses on a unit that has been created around one agent (Gabriel Black, played by Josh) with a very special gift: A microchip has been implanted in his brain that allows him to access the entire electromagnetic spectrum. Josh also co-stars in the dramatic thriller “Paranoia,” which also stars Harrison Ford, Liam Hemsworth and Gary Oldman. It will be released in October. Also, in January 2014, look for Josh in the Arnold Schwarzenegger action movie “Ten,” which also stars Sam Worthington and Joe Manganiello. A: The medical drama, which premiered Feb. 1, was indeed canceled after two episodes. “Do No Harm” was the lowest-rated, in-season broadcast scripted series debut in modern history. The second episode declined even further, sealing the show’s fate. I asked Kevin if he’d like to do another comedy, and he told me: “I would love to. I’ve done a lot of guest spots ‘Dharma and Greg,’ ‘Two and a Half Men,’ ‘Just Shoot Me’ … all those different things. I did have my own sitcom back in 2005. It was a half-hour comedy called ‘Bobby Cannon,’ where I played an end-of-the-year quarterback for the Chicago Bears. “It tested No. 1 for ABC, but then the then-president of ABC decided not to pick it up. To this day we are shocked. There’s no doubt in my mind we’d be in our eighth season right now. Oh well … welcome to the business of Hollywood.” Read my full interview with this charming and talented man here.